The Supreme Court on Monday disposed of a petition seeking ban on Blue Whale Challenge and asked all state governments to spread awareness among students about the deadly virtual game. 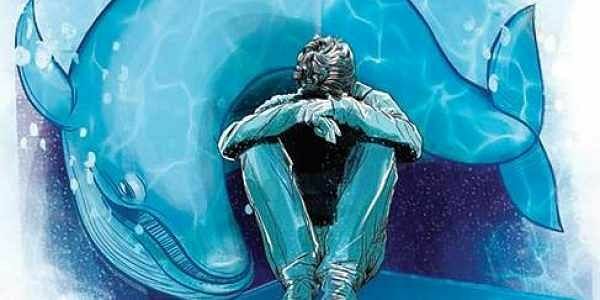 NEW DELHI: The Supreme Court on Monday disposed of a petition seeking ban on Blue Whale Challenge and asked all state governmen ts to spread awareness among students about the deadly virtual game. It also urged parents to instill a sense of optimism in their children so that they can understand the beauty of life. A three-judge Bench headed by Chief Justice of India Dipak Misra said awareness campaigns should not focus solely on such virtual games but primarily on the dignity and beauty of life. “The beauty of life is not to meet the beauty of death, but to keep death away,” the Bench observed while disposing of the petition filed by advocate Sneha Kalita. The court junked the petition after the Centre submitted before the apex court that it was not possible to regulate or ban the dangerous game that had claimed many lives across the globe. The government said Blue Whale was not an app or website or even a url, which made it difficult to trace and erase. The court then asked the Ministry of Human Resources Development to issue a circular to make schoolchildren aware of the perils of such dangerous games. It also directed the state governments to keep in mind the CBSE guidelines on ‘Safe and Effective Use of Internet and Digital Technologies in Schools and School Buses’ while running awareness campaign. Attorney General K K Venugopal and Additional Solicitor General P S Narasimha, appearing for the Centre, told the court about the interim report of a committee, which was set up to inquire into recent cases of suicides of children while playing the Blue Whale game. Narasimha said the Blue Whale Challenge was shared among secretive group on social media networks and players cannot stop playing once they start and it ends on the 50th day, leading the player to commit suicide. “There are so many violent games and mostly, these are one-on-one,” Justice D Y Chandrachud observed. Last month, the court had asked Doordarshan to produce a 10-minute educational show on the perils of virtual dare games. The Centre had also informed the apex court that around 28 cases relating to such games had been reported so far in the country and the agencies were probing them.